Slightly textured, heavy duty surface. 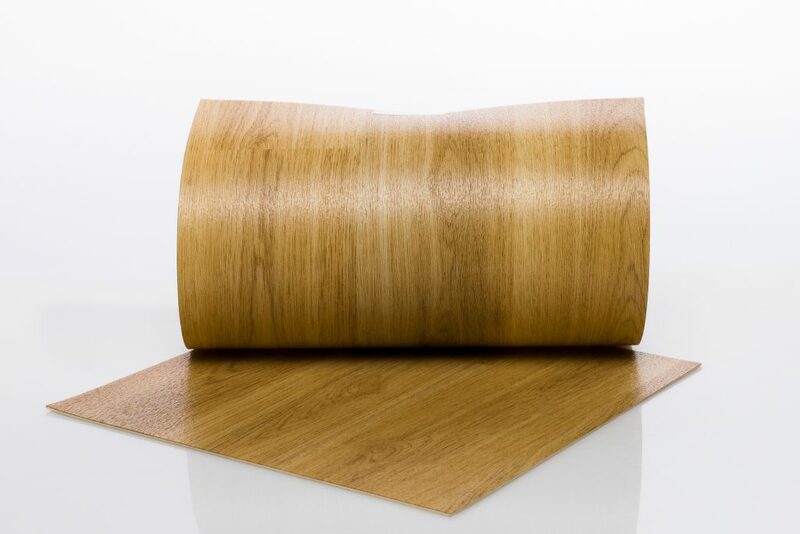 Exceptionally realistic wood design combines form, function, and ease of installation. Resists wear and tear. Woodstep should be used in conjunction with floating wood subfloor or on stage. Recommended for ballet, jazz, modern dance and virtually all movement activities. Great for dance and multi-purpose activities. Aluminum compound taps can disintegrate on flooring, leaving a black / grey residue. To avoid this residue, use aluminum or steel taps. Use TapShield or FloorShield Maintenance System to reduce problem. See Maintenance Instructions. 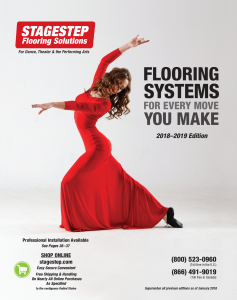 The ideal subfloor for Woodstep is Springstep lV, Stagestep’s floating wood subfloor. Installation on concrete (or other rock-hard slabs) will not reduce shock. Installation on carpet can result in the floor “wrinkling” when working on it. Consult with Stagestep for the best results.